Thousands of people turned up in droves to join the 7th Terry Fox Run at the Thien Quang Lake in Ha Noi Sunday to raise money for cancer research in Viet Nam. 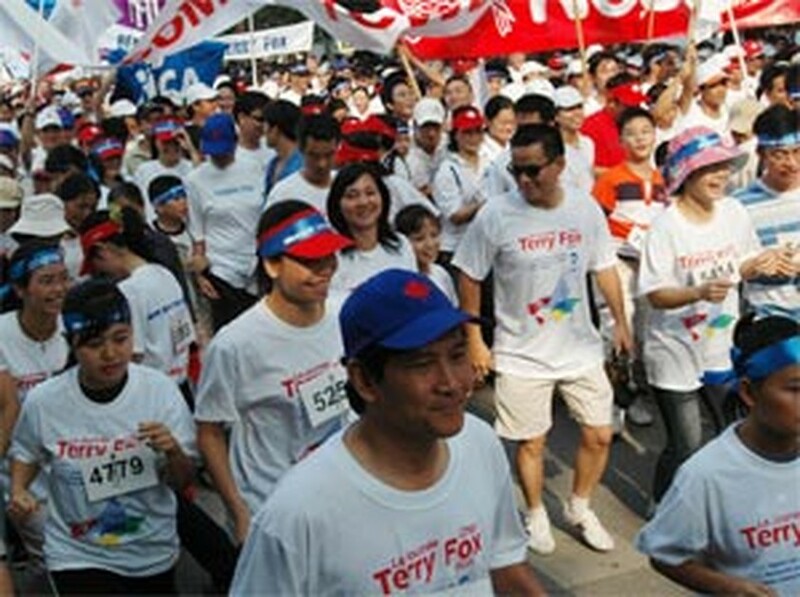 This year, the Terry Fox Run attracted over 8,000 participants and raised VND275 million. 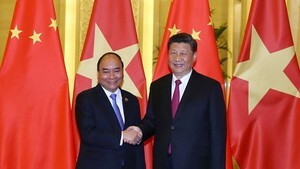 The money raised will then go to fund cancer research of the Ha Noi Tumor Hospital. 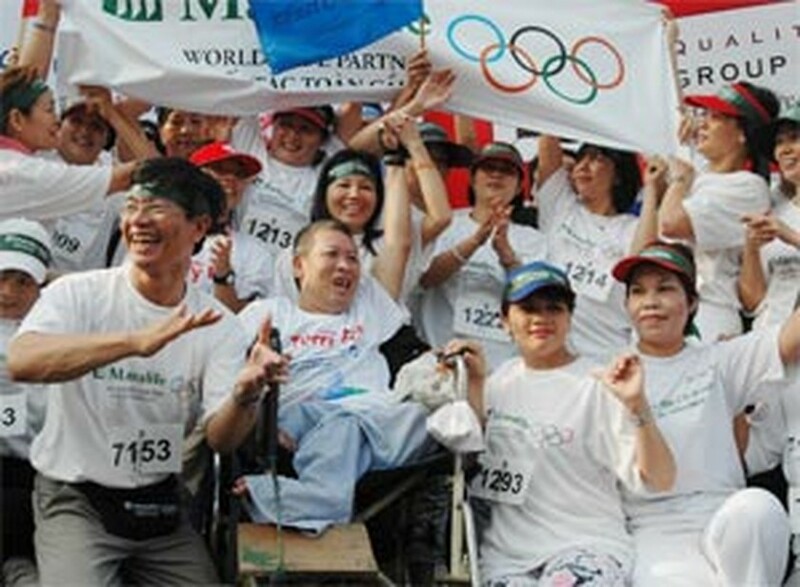 The Run will be organized in Ho Chi Minh City on December 3. Last year, more than 11,000 Vietnamese people got together and up to VND700 million was raised for Viet Nam’s fund cancer research. Consulate General of Canada is now welcoming donations of all individuals and groups across the nation. Terry Fox was born in Winnipeg, Manitoba, and raised in Port Coquitlam, British Columbia, a community near Vancouver on Canada's west coast. An active teenager involved in many sports, Terry was only 18 years old when he was diagnosed with osteogenic sarcoma (bone cancer) and forced to have his right leg amputated 15 centimetres (six inches) above the knee in 1977. While in hospital, Terry was so overcome by the suffering of other cancer patients, many of whom were young children, that he decided to run across Canada to raise money for cancer research. The first Terry Fox Run in 1981 attracted 300,000 participants across Canada and raised $3.5 million. To date, more than $400 million has been raised worldwide for cancer research in Terry's name. Each year, thousands of volunteers organize Terry Fox Run events in Canada and around the world. In Canada, the annual Terry Fox Run is held every September, usually on the second Sunday following Labour Day. In countries outside Canada, the Run is organized at a time that is convenient for organizers. The Run is a non-competitive event where people get together as individuals, families and groups to raise money in Terry’s name. It is a day of celebrating Terry’s legacy and helping to keep his dream of a cure for cancer alive. There is no entry fee and no prizes awarded, although a certificate of appreciation is given when participants complete their journey. Run locations are organized in large urban areas, attracting thousands of people and in small, rural communities where everybody knows each other. School events tend to be incorporated into the daily curriculum.